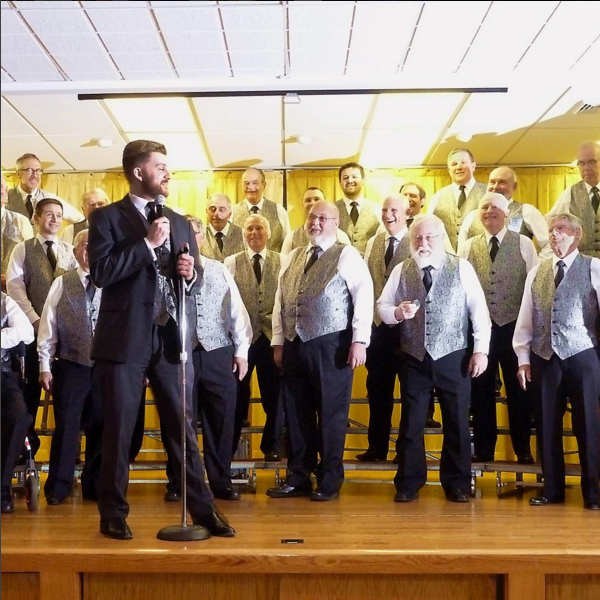 Our brand of crowd-pleasing barbershop harmony is guaranteed to liven up your company sponsored event, church social, family reunion, downtown festival, public or private party, club event, or any other situation that calls for some great musical entertainment. And we love performing the National Anthem at sports events! quartets. Contact us about customizing a performance to fit your needs.